Tour Napa Wine Country in a Bus Limo in elegance and comfort with true professionals. We have a 5-Star Rating on Yelp for our service! That means you can count on Million Services to exceed your expectations for your special occasion. 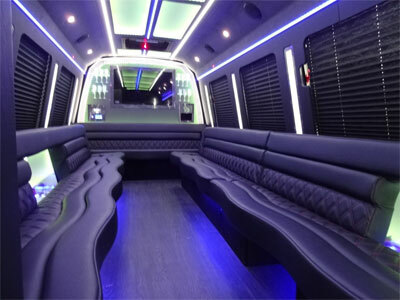 Our Limo Bus tours for large parties are competitively priced. Call us at 1-415-724-3246 and we'll be happy to tell you about our Wine Tour packages and how we can customize your tour to make it extra special. Our drivers are always courteous, punctual, and very knowledgeable of local wineries, the best routes to take, and places of special interest in Napa Valley. With our 5-Star service available at rates below the industry-average, you can spend the day in comfort and luxury while touring Napa Valley wineries in a Limo Bus with your friends and colleagues without spending a bundle. We provide late-model bus limos for larger groups to travel in style and comfort on unforgettable tours of Napa Valley wineries. Our buses are always immaculate, on-time. Or you can use our reservations form. 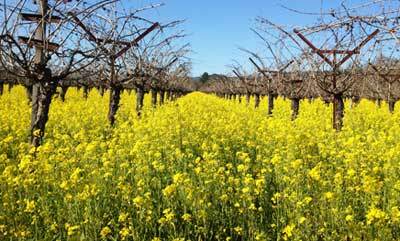 What could your Napa Valley wine-tour include? Reese is AWESOME! He really knows his stuff when if comes to getting around wine country. I rented a limo through Million Services Limousine when I had several friends (six out-of-towners) visiting. What better way to explore Napa and Sonoma than to use a driver who is guaranteed to be great. He was on time, reasonably priced and so friendly. All of the suggested wineries he offered were fantastic and exactly what we had in mind. I recommend Reese and the limo company to all. It really is great service at at the right price. You will not be disappointed.